The Salon Magazine is very excited to be working with Olympia Beauty this year; we’ll be on Stand D134 and would really love you to come along and say hello to us! 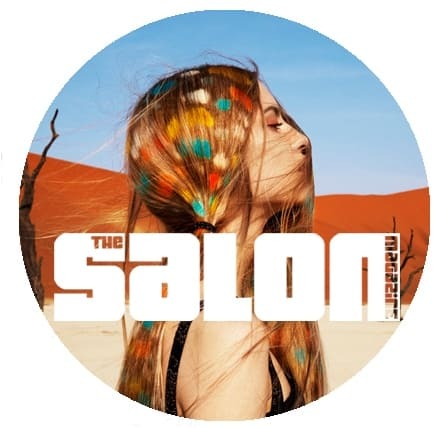 The Salon Magazine is a glossy print monthly publication for hair and beauty salon owners and managers – and we love hair, nails, skincare and make-up as much as you do! Why not talk to us about appearing in one of our many real salon-based features – Salon of the Month, Salon Social, etc.? We also love to hear about your awards, and your charity fund-raising events. We have a fabulous range of contributors, and every issue features a mix of new products, the latest treatments, and tips and advice to take your business forward. And in every issue we get the inside story from industry experts, representatives from professional associations, and salon owners who pass on advice and the secrets of their success. In our September issue we’ll be looking at increasing your environmental credentials – from sourcing organic and sustainable products, to talking to salon-owners who pride themselves on their tiny carbon footprints. We also have a product focus on Hair Tools, where we’ve put together some exciting dryers, straighteners, curling tongs, as well as brushes and everything you need to create a perfect ‘do! And coming up in October we have Hair Extensions, Lashes & Brows, and a look at different payment systems to ensure you keep your cashflow under control. And this issue will also include our first Christmas Promotion – looking at all of the exciting stock you can get in to make your clients gorgeous for the party season, and also allow them to tick off some of their pressie list. Contact me at juliet@cimltd.co.uk if you can’t wait until the show!